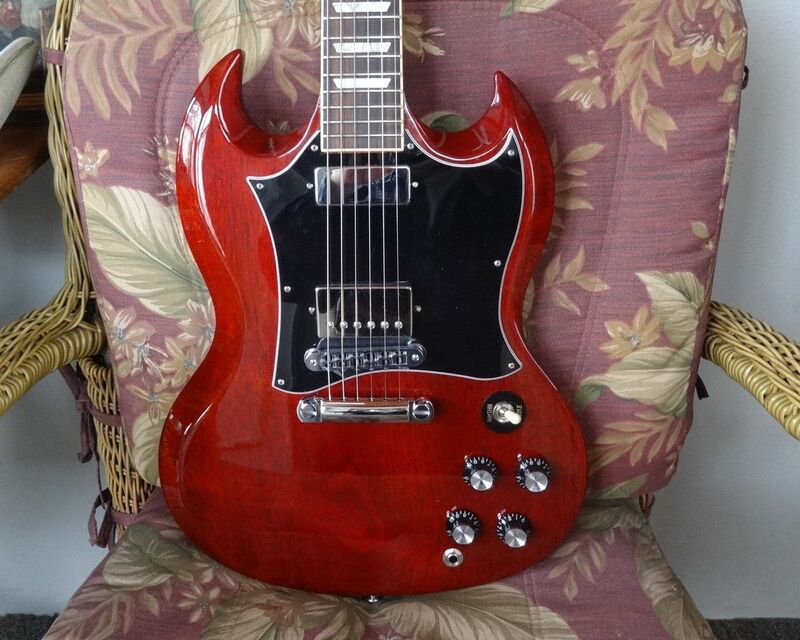 but the sticker on the back says "57 Classic"
My friend on the SG forum has the same guitar with the other "57 Classic" in the bridge so maybe someone swapped out the bridge pickup in mine. 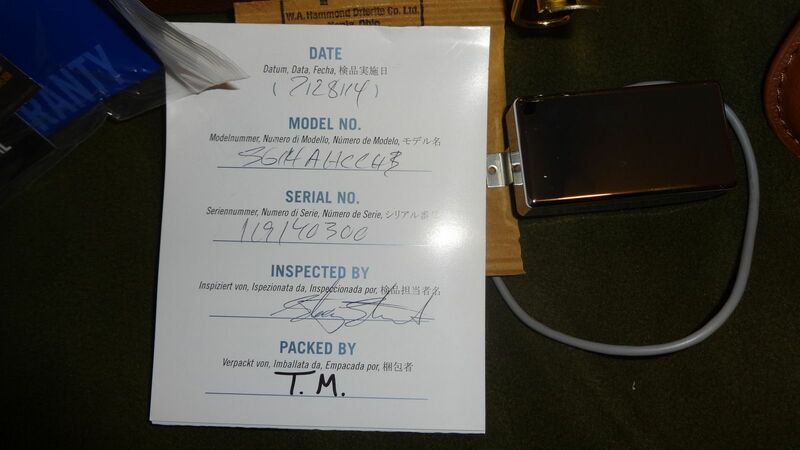 You must be right about the pickup. Interesting what's in it right now. Is it a Midtown on the photo by the way? Yes the other guitar is a Midtown.Guess I will find out what kind of pickup is in the bridge the next time I change the strings. 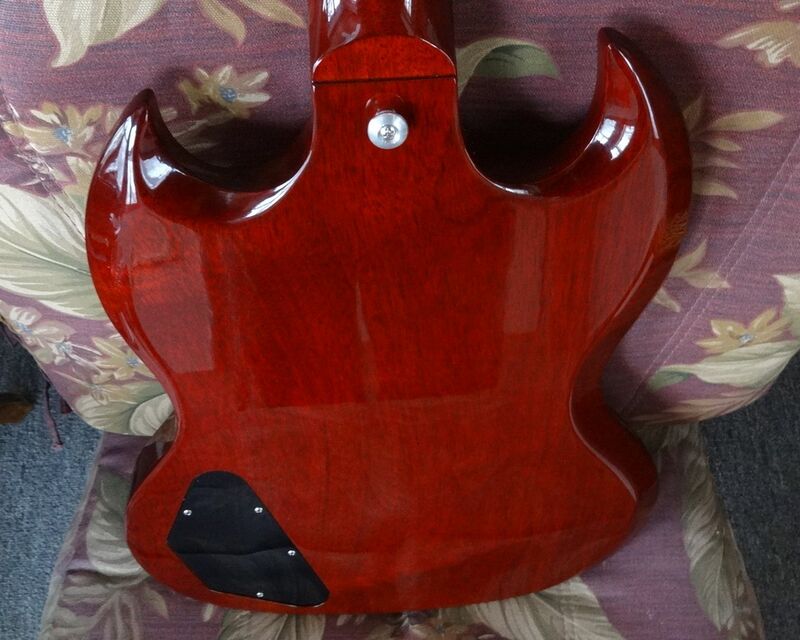 Maybe I will put the original pickup back in. 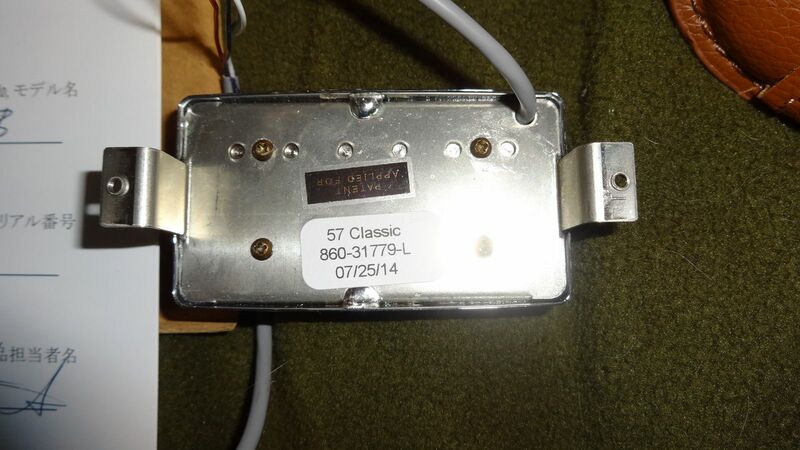 Did you notice that this pickup doesn't have any screws though the back like a regular 57(bottom picture)? 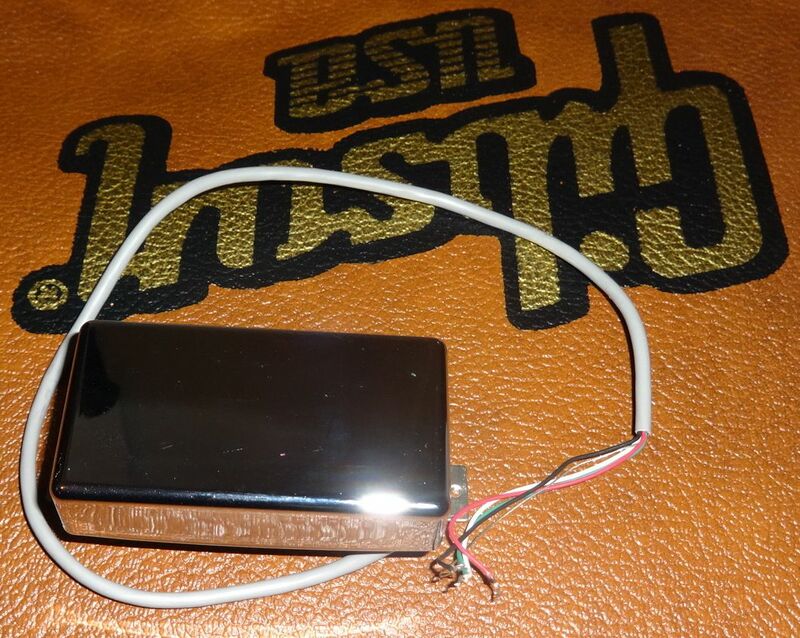 No biggy, they could do it intentionally to match the appearance of the mini humbucker Firebird pickup (I don't want to start another war ) in this particular guitar. Does it have pole piece screws at all? 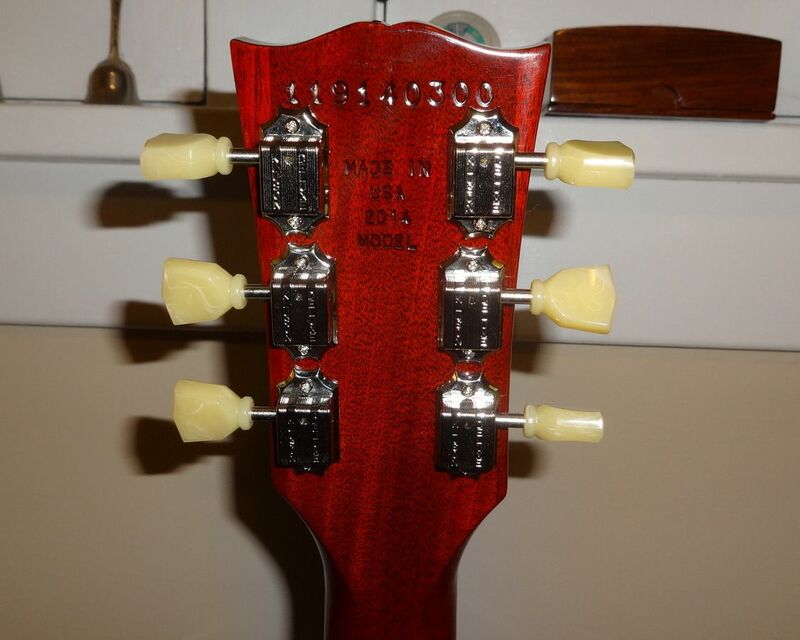 No and that caused some problems for Gibson Customer Service.I read some posts on another forum by a guy who had ordered one from AMS in 2015. 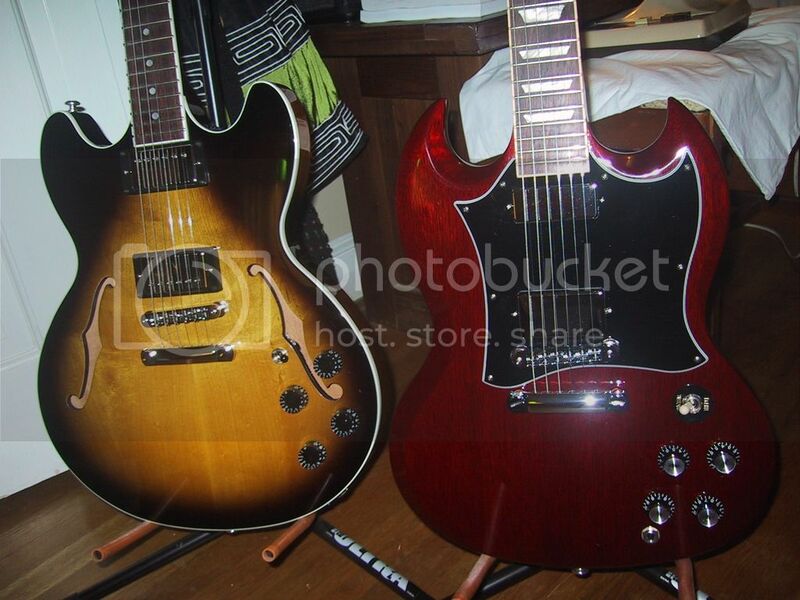 Before he received it he called Gibson to ask if the guitar came with a Tony Iommi or 57 Classic pickup in the bridge. 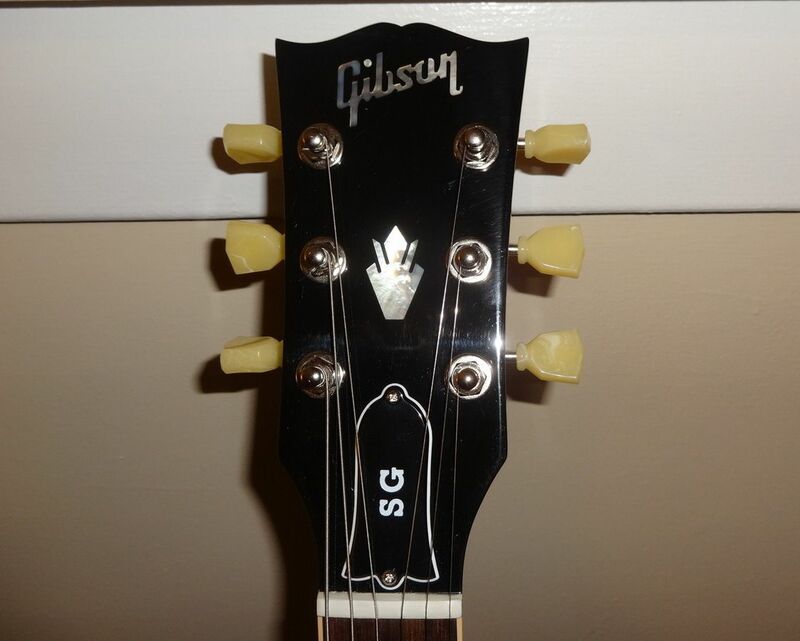 The Gibson Customer Service agent he spoke with told him: If the pickup has a smooth cover it is a Tony Iommi and if it has screws in the cover it is a 57 classic. 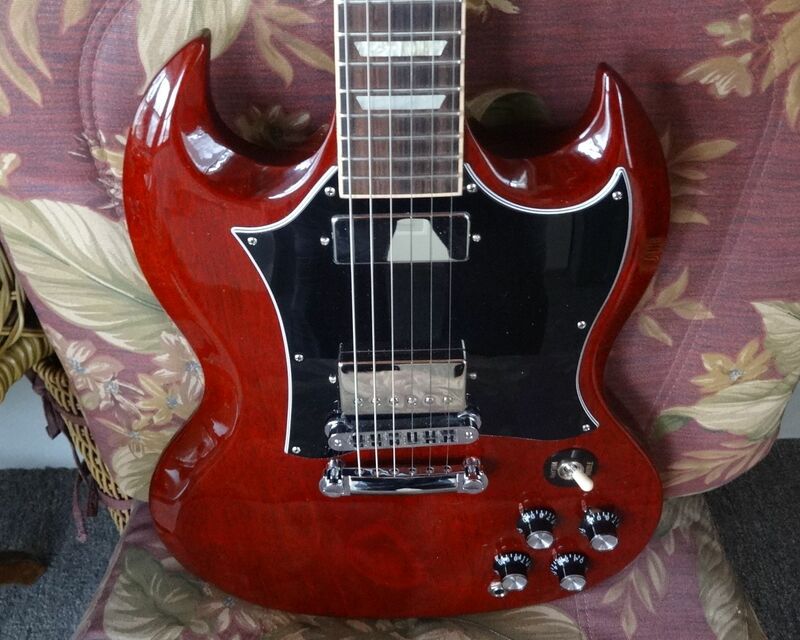 Some people who bought the guitar believing it was the Tony Iommi Pickup were pissed off when they found out it was a 57. 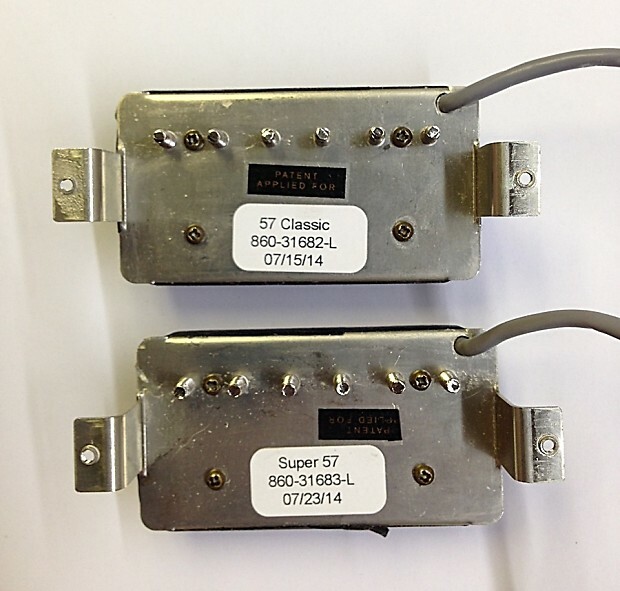 That is why I thought the bridge pickup on my guitar was the original pickup until I found the covered 57 in the case compartment. I thought they had changed it to a regular 57 to avoid confusion. 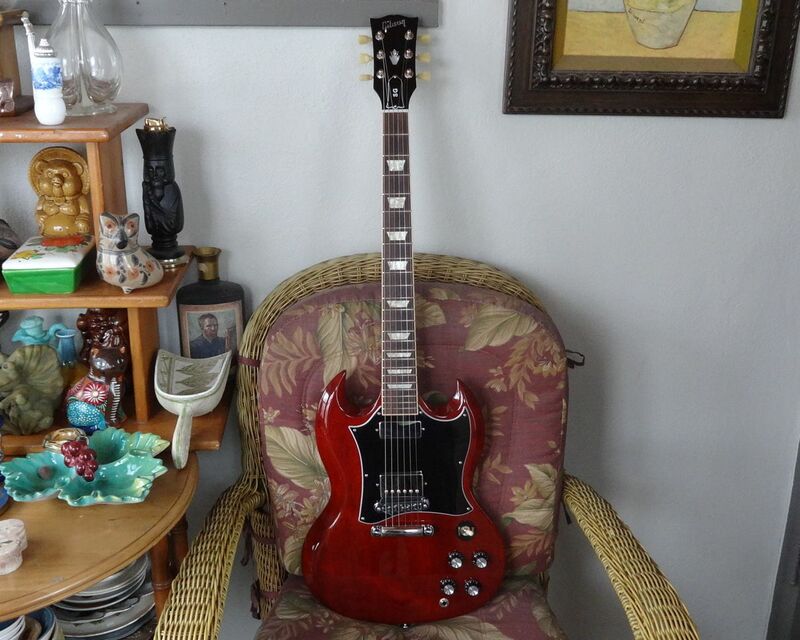 By the this was my first "SG" style guitar. 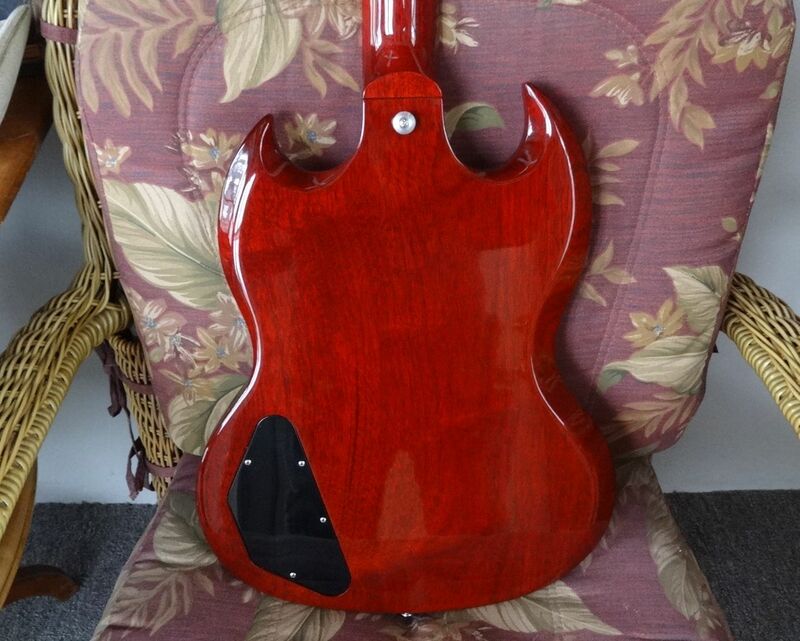 Actually it looks more like a Yamaha than a Gibson. 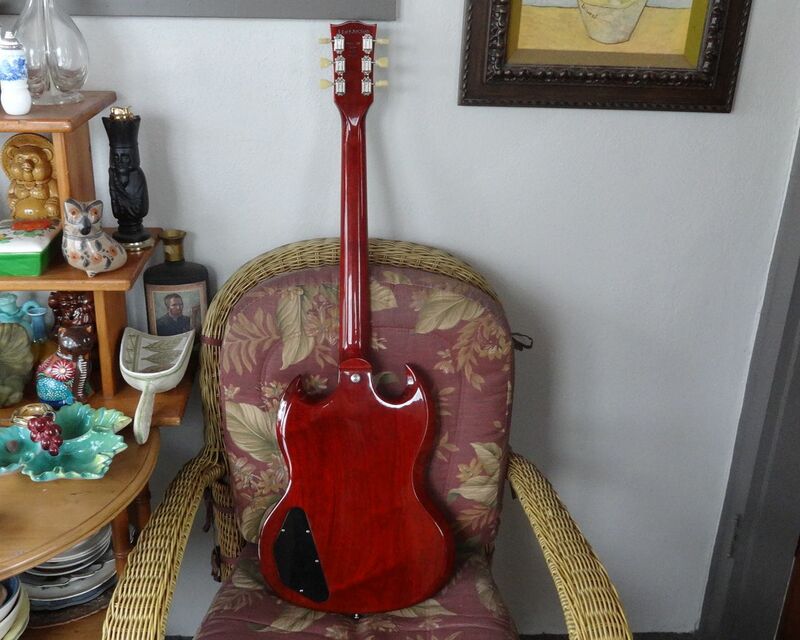 This is actually kind of cute guitar. How long have Agile brand been existing btw? When did you buy it? Thanks! That guitar is a Agile Valkrie made in the early 2000s.I bought it used in 2004. Kurt Zentmaier founded the Agile Brand in 1999. 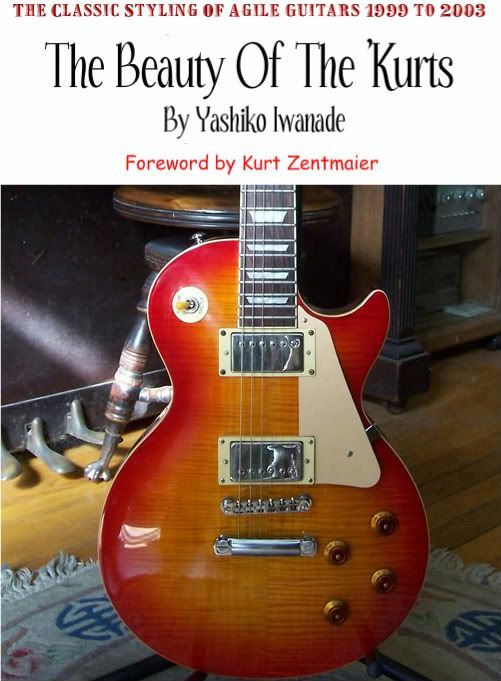 I made a fake book about Agile guitars(just the cover) as a joke for the Agile Forum a few years ago. 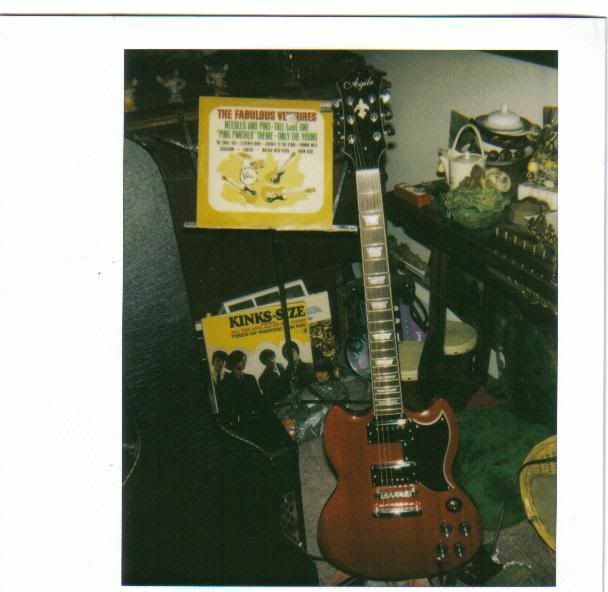 The guitar on the cover is an early Agile LP2000(it was not mine).